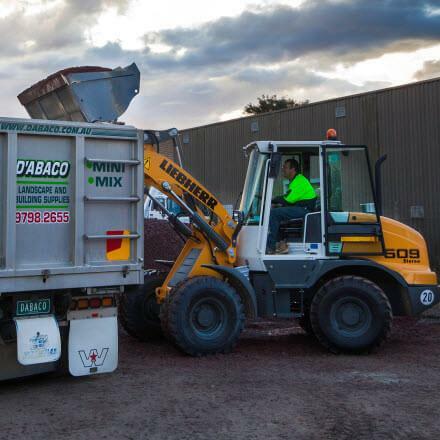 The D'Abaco name means the best materials and quality Landscape and Garden Supplies Melbourne has to offer. 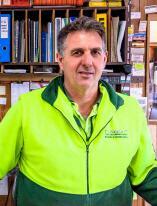 Based in South East Melbourne, D'Abaco supply and deliver Garden and Landscape Supplies Melbourne wide. Our stock of Garden Supplies and Landscape materials includes, a store of sand, a reserve or rocks, a reservoir of aggregate, a stockpile of bark, a heap of compost, a pile of toppings, a mass of mulch, a hoard of pebbles, a cache of cement, a collection of concrete, a storehouse of building hardware, and a mine of advice and know-how, so no matter if you're a builder, bricklayer, concreter, tiler, renderer, plumber, or landscaper we can help you with your project. We specialise and deliver 0.4m3 to 3.4m3 loads perfect for paths, driveways, pits, foundations and general concreting. 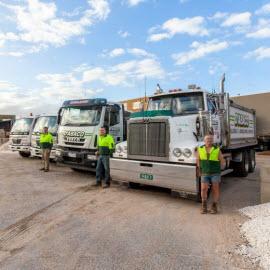 We deliver ready-mix concrete throughout South East and Bayside areas of Melbourne. We stock all your concrete requirements, colors, sealers, exposing agents, steel reinforcement and much more. If you need help calculating quantities you can get advice from our staff. Yes we deliver garden supplies melbourne wide!